Welcomes a warrior to eternal peace. A comrade has found release. Crowned by the hand of Jehovah! 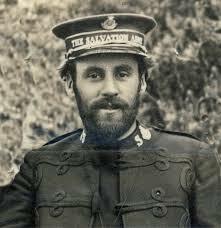 We can thank Herbert Booth for this term which we use within our Army today. He coined the above term while writing this song for his mother, Catherine Booth, following her death. What a wonderful tradition that we have within this aspect of “army living”! I have been to many a Promoted to Glory service and have shed many a joyful tear. I would much rather attend a funeral service which evokes the hope and joy of eternity than the deep maudlin, somber experience of the traditional funeral service. But beyond such thoughts on death and its ever presence with us, for certainly it is in our minds that we ever progress to that day, I would rather like to consider life. Living Out This Promotion Today! I believe that as God’s Army, we can live out His Kingdom while STILL ALIVE in these earthly vessels. Isn’t that what it’s all about anyway? Aren’t we all commissioned by God to share His hope and His life with those who desperately need life and hope? We are Kingdom builders here on earth. It is a promotion of glory enacted in the here and now! What joy it can be to declare God’s kingdom here on earth a midst a world that is so deeply divided and disillusioned. God’s kingdom, after all, is glorious, holy and illuminated by His presence…are our lives illuminated by His presence here on earth? Here and now? I recognize that life is never easy. We all face our trials and struggles, but doesn’t God go with us even into those valleys of the shadow of death? Are we ever truly alone? NO! Yes we must honor our fallen comrades and soldiers in our army in the finality of their promotion to glory, yet we need not wait until glory to truly live His kingdom today in our lives! May we live in such a way that others will see His kingdom and marvel at His holiness and long to be consumed by His light in their lives as well. Let us live out our future promotion to glory TODAY in our living for Christ! Do not squander the opportunities to display His majestic love to others you serve and love. Keep His kingdom ever in your thoughts and in whatever you do, do it for His glory today! We are God’s soldiers living out our future promotion to glory in the here and now! 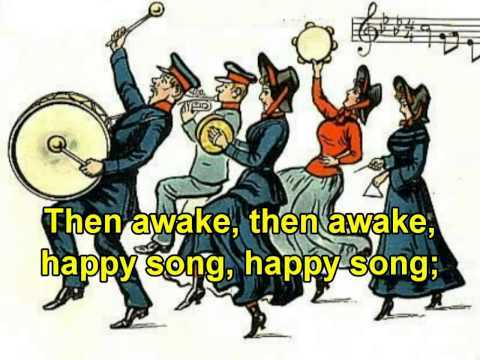 Previous Post Previous post:Dear Salvation Army – Are Brass Bands Dying A Slow Agonizing Death? Next Post Dear Salvation Army – A Tribute To Colonel’s Dennis And Sharon Strissel…My Parents.